Mix tahini, sweetener and vanilla until smooth. Add remaining ingredients and mix well. Remove from refrigerator and roll into 1 inch balls, place evenly on parchment covered cookie sheet. Freeze for 30 minutes before serving. 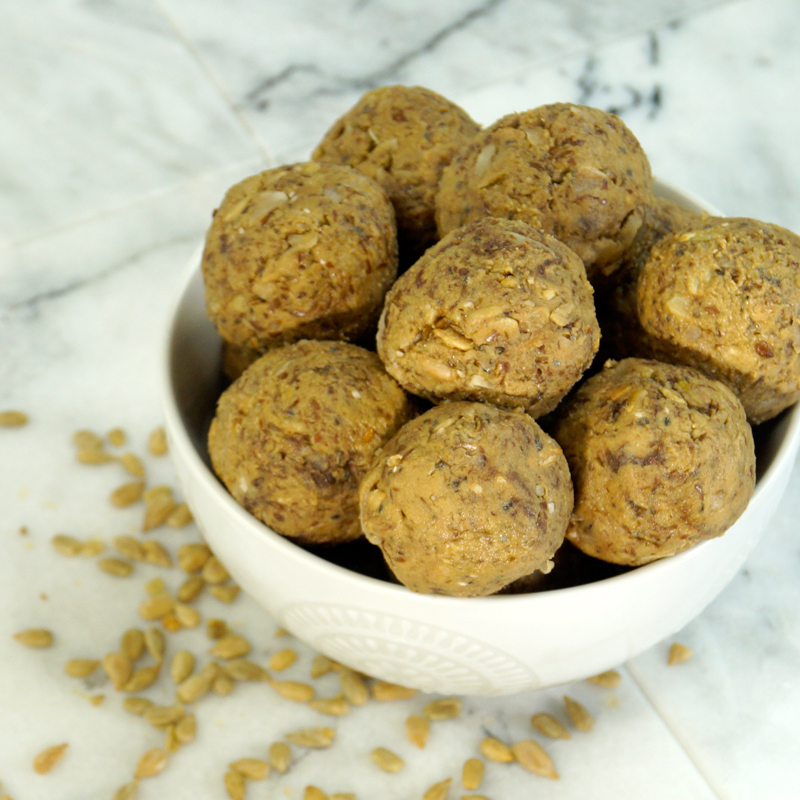 Store any uneaten energy balls in the freezer to enjoy later. NOTE: This recipe is low carb, paleo, dairy free, gluten free and vegan!